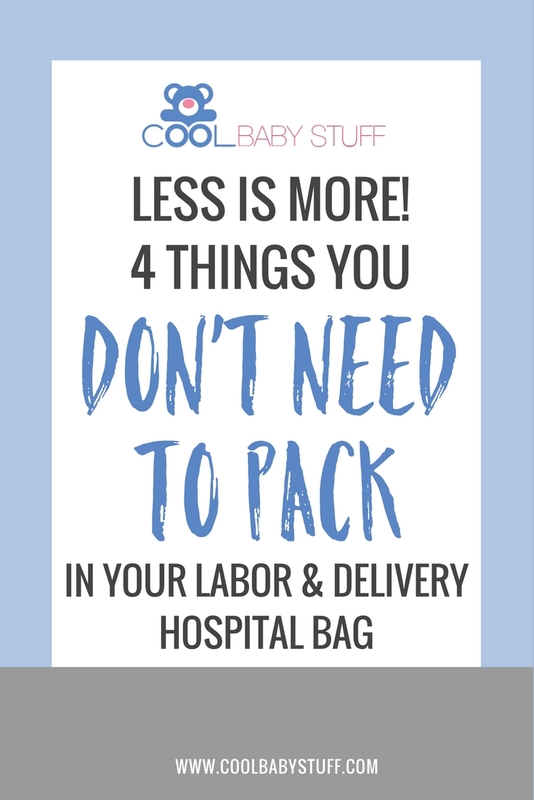 The countdown is coming to an end and it’s time to get your hospital bag packed for the exciting time when you finally go into labor! 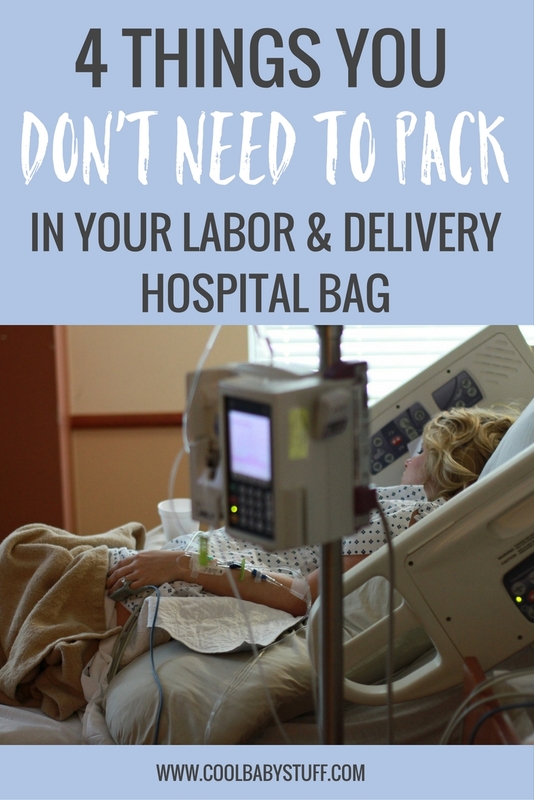 When you’re trying to breathe through heavy contractions while waddling through the hospital (or birth center) doors, hauling a plethora of duffle bags can be overwhelming. If you’d like to take a more simple approach, here are a few items you can leave off your list in order to lighten the load. If your baby is taking their sweet time, here are a couple things you can do to pass the time. Sure, it could be nice to have that extra “homey” feel with your thick, plush bathroom towels from home. However, bath towels take up a lot of space in your hospital bag. The hospital towels may not be the most luxurious, but you can ask for as many as you need and then you also don’t need to worry about lugging home damp towels and adding to your laundry list. No need to pack your own feminine/postpartum recovery products. The hospital where you deliver has plenty to go around, and they are most likely much more suitable than what you might find at your local grocery store. Be sure to stock up on as many as possible so that you can take plenty home with you! Here are more items that the hospital provides! Unless you feel particular about the type of diapers and wipes your baby uses for the first couple of days, take advantage of the free ones that the hospital passes out like candy. Pack a few extra in your hospital bag to take home — you’ll learn soon enough the value in a free diaper! Many pregnant women wonder if they should bring their pump with them to the hospital. 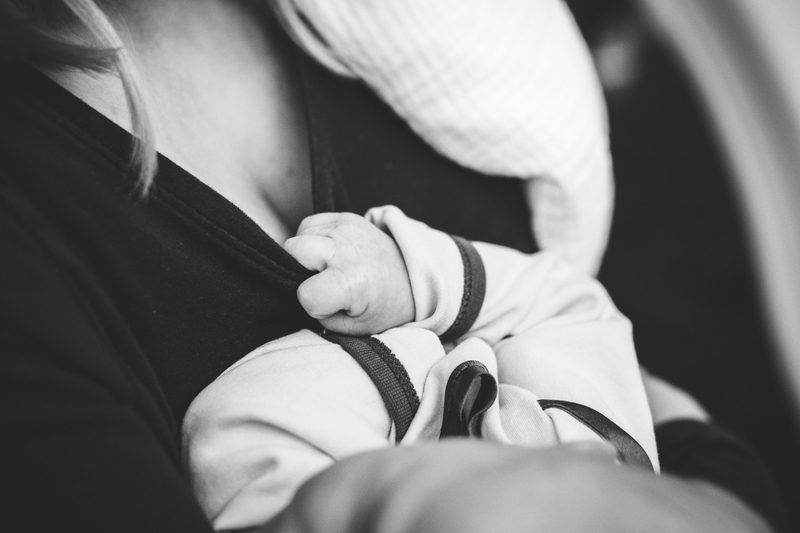 Especially if you plan to return to work soon, it can feel important to go ahead and get as much breast milk as possible stored away for baby. Breast pumps can also be used to speed up labor naturally if it slows down once you’ve already been admitted to the hospital. While these are great reasons to use a pump, you don’t actually have to bring your own. The hospital will have a supply of breast pumps for you to access, and they will most likely be even better quality than the one you have at home. As you prepare to meet your little one for the first time, let go of the stress of having to have everything perfectly planned out and prepared. The hospital will provide almost anything you need, and (hopefully) you won’t be there long enough to need more than the basics. Ultimately no matter what you bring with you in your hospital bag, it will be the perfect time for a beautiful first introduction. Make sure you read up on this article to find some genius ways to manage visitors after bringing your baby home.